Discussion in 'Auto News' started by GTPNewsWire, Mar 25, 2019. This article was published by Andrew Evans (@Famine) on March 25th, 2019 in the Automotive News category. AM, you are so nice, giving a car for free. Wasn't that the Cygnet? They have a few second hand ones for sale at the dealership in Wilmslow. This is a bit pricier than that. Wonder what king of contract the fee owners are in for. Can't sell them for 19 years? So really, the DBS GT is likely $1-1.5 million, and the DB4 is $6.5-7 million. You can likely sell them right away; beyond the Valkyrie, Aston hasn't really ever had a black book of owners. 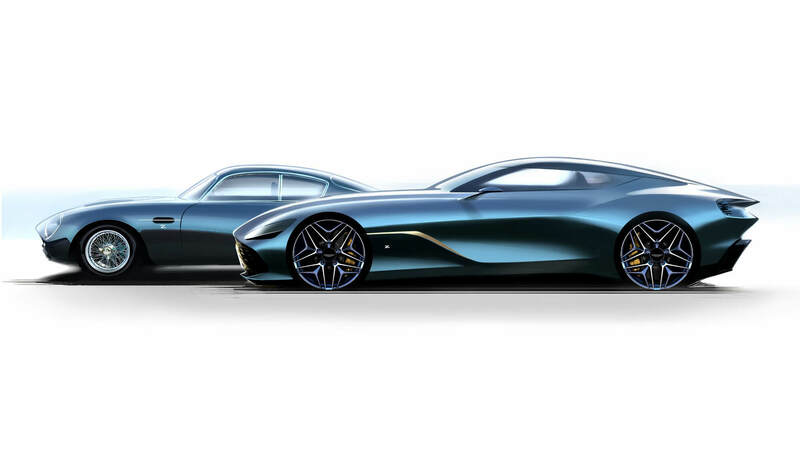 People have already flipped the Zagato Shooting Brake just as the cars started being delivered. Bundling... could be an anti-trust issue. Not that I think it should be, just pointing out that in order to get one car you have to buy into a bit of a different market, and this gets companies in trouble with anti-trust laws. For example, if Aston thinks their classic car game is stronger than their modern car game, they can force you to buy the modern one if you want the classic one. The opposite is true as well, if they think their classic car game is softer than their modern car game, they can force you to buy the classic car in order to get the modern one. Naturally I think all of that is nonsense, but I can see the legal argument. If only Porsche would do the same thing. Buy the new 992 GT3 RS and get a Boxter/standard 992 for free. Or something similar. Aston isn't doing it for free either. The fact that the only way to acquire one product is by purchasing another, much more expensive product doesn't mean that the former has no value, and you can bet its value has been factored into the purchase price of the latter.